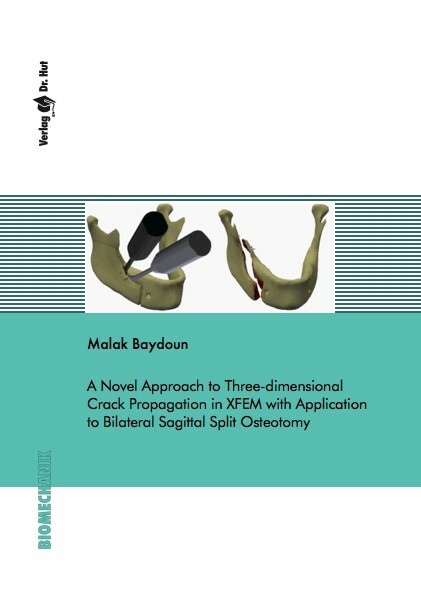 This dissertation is the outcome of an interdisciplinary project to build a virtual reality simulator of the bilateral sagittal split osteotomy (BSSO). In this simulator, the splitting process in the mandible is investigated. The cut is treated as a crack and the problem is reduced to a computational linear elastic fracture mechanics (LEFM) problem with induced propagation under surgical loadings. In this dissertation, the propagation of the crack in the mandible is treated using the XFEM. This work is divided into three main parts where (i) a new hybrid description in the context of the XFEM for two and three-dimensional crack propagation, is first represented. Then, (ii) new propagation criteria in two and three-dimensional fracture mechanics within the XFEM are introduced and investigated. Finally, (iii) the XFEM is combined with a virtual reality simulator, including haptic devices, creating the surgical simulator of the BSSO.